This guide outlines how to make efficient changes, manage, and bulk update with Schedule Filtering and hiding areas in your schedule. 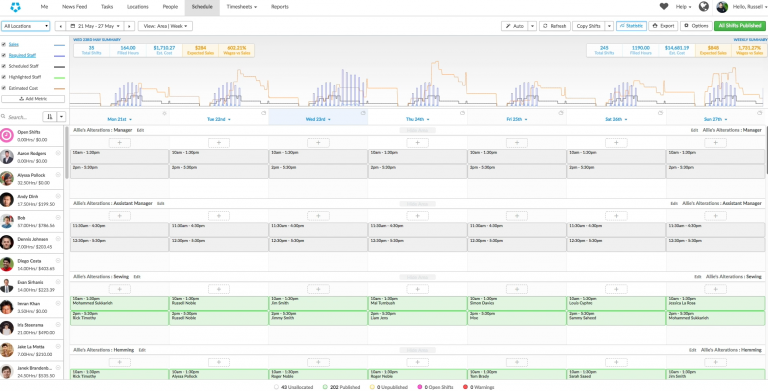 Scheduling updates work based on the areas that you can see, which can be defined by the filter function or by hiding areas. This feature greatly benefits system admins that have a large number of locations/areas and need to only see a specifically named area. The filter allows you to specify and customise your current view. To do this, click on the search bar in the top left as shown in the screenshot below. Please note that you can search both Location and Area names in this search bar. In this example, we're looking at all locations, but we would only want to look at all areas labeled 'Manager' over three locations. To do this, we'll type 'Manager' into the search box. Now we'll select 'Filter All Areas with manager'. This will search all locations for areas with the word 'Manager' in it. 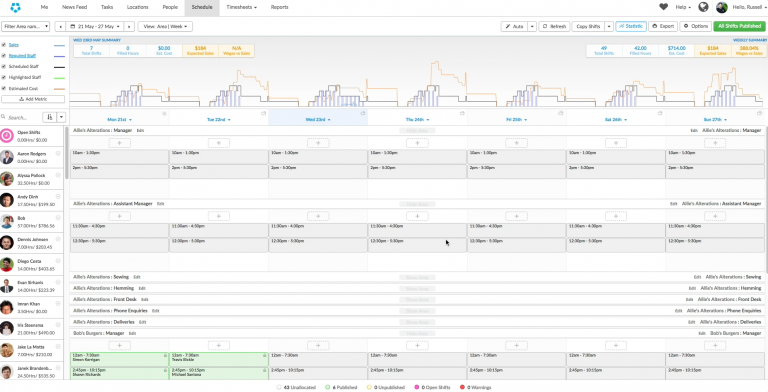 The below displays what happens to your scheduling view with this filter applied. As you filter your schedule, the Statistics bar will also change based on the applied filter. In the above screenshot, we can see that the labour cost has dropped as it is only showing the cost of scheduled managers. Now that we've specified a view based on filters, all changes that are now made will only be applied to what is currently being displayed on the page. For example, the Options menu will only affect the current view, while leaving other areas untouched. In the screenshot below, the 'Manager' area has been filtered, and the 'Remove All Employees' bulk update has been applied. In the following screenshot, we can see that the other areas that are not displayed have been unaffected. Another example is Deputy Auto-Scheduling. 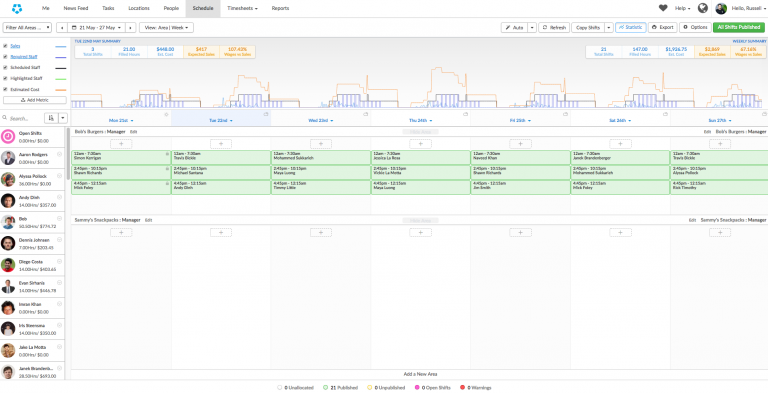 Filtering and hiding areas will ensure that the auto-scheduler will only create and build schedules for the areas that you can see. Another way to view specific areas is by hiding other areas in your schedule. This is particularly helpful if you would like to view a number of areas, but they do not share similar naming conventions. To hide areas, ensure that you are in the 'View By Area' by changing your Schedule View. Click 'Hide Area' in the corresponding area you would like to remove from view.